The WordPress community is powered by so many impressive individuals who not only contribute, but get others excited about contributing as well. This list honors and is dedicated to them. If you believe anyone belongs on the list, leave your recommendation in the comments below so we can add them to an upcoming list. Also, if there are any errors below, let us know and we can update the list accordingly. Matt is the founding developer of WordPress and founder/CEO at Automattic, the company best known for powering WordPress. 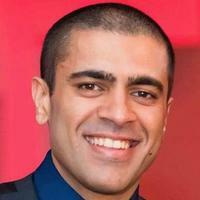 Syed is the founder of several 7-figure businesses, including WPBeginner, List25 and OptinMonster. He was named as a Top 100 entrepreneur under the age of 30 by the United Nations. 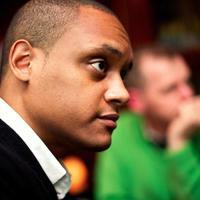 Andrew is a Lead Developer of WordPress and currently works at the U.S. Digital Service at the White House. He was the lead for WordPress 3.9. Brian is the founder of StudioPress and developed the Genesis Framework. He is also the creator at No Sidebar, an online publication dedicated to minimalistic and clean living. Lisa is the Chief Operating Officer of WebDevStudios. She is the founder of eWebscapes and author of "BuddyPress For Dummies," "WordPress All In One For Dummies" and "WordPress Web Design For Dummies." Mark is a Lead Developer of WordPress. He makes his living as a web publishing consultant to everyone from individuals to startups to established media companies. His personal goal is to bring intuitive, low-cost web publishing to everyone who has anything to say. Lorelle is an avid blogger and educator with a passion for UX, social media and online business. 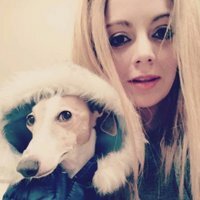 She created and edited more than 600 articles on WordPress Codex, produced hundreds of websites for her clients and wrote 4 books. 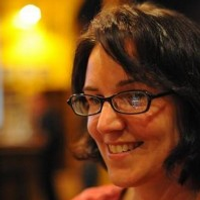 She is currently a professor at Clark College and Portland Community College where she teaches students WordPress. Chris is a daily blogger, public speaker, product strategist and CTO and chief strategist at Crowd Favorite, a professional services firm. Beyond that, he speaks at conferences and helps companies with product strategy. Pippin is a WordPress plugin developer and founder of numerous plugins, including Restrict Content Pro and Easy Digital Downloads. Vladimir is the creator of ManageWP, a business that assists people in automating and managing their multiple websites. He is also the president at Devana Technologies. Michael is a WordPress developer, founder of Semper Fi Web Design, co-author of WordPress All-in-One for Dummies and creator of All in One SEO Pack. 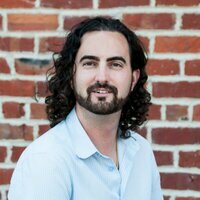 Jason is the founder at WP Engine and Smart Bear and a co-founder and CTO at Sheer Genius Software. He is a partner at Capital Thought and a mentor at Capital Factory. He is the author of "Best Kept Secrets of Peer Code Review." Jennifer is the founder of Bourn Creative, a company she manages with her husband, Brian. Jennifer largely works with design, web and digital strategy and Brian leads UX design and development. Cory is the founder of iThemes. He co-founded The Div, Inc, a nonprofit tech foundation aimed at inspiring and training the next generation of web developers. He is also the co-author of "WordPress All-in-One for Dummies." Morten is a staff author at lynda.com and the Director of Pink & Yellow Media Inc., a digital media company based in Burnaby, British Columbia. Chris built the Thesis Theme Framework for WordPress and founded a company called DIYThemes to sell the framework. 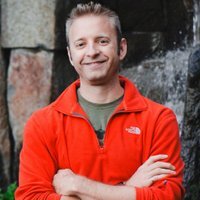 Brad is a co-founder at WebDevStudios, co-host on The DradCast, and co-author of "Professional WordPress" and "Professional WordPress Plugin Development." Justin is a web developer at Theme Hybrid. He's written more than 200 posts about WordPress and co-written a book called "Professional WordPress Plugin Development" with two co-authors, Brad Williams and Ozh Richard. 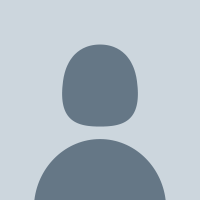 Brian is a web developer, writer and consultant based in Birmingham, Alabama. He is the editor at Post Status, a website for WordPress professionals. He is also the owner at Under Vulcan, LLC, a digital products and services group. 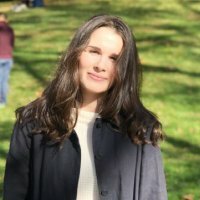 Helen is 10up’s first full-time employee and Director of Platform Experience. She is a WordPress core committer and the release lead for WordPress 4.0. 10up enables Helen to contribute to the WordPress open source software project full-time. Bob is a WordPress instructor, co-organizer at Seattle WooCommerce Meetup and owner of BobWP WordPress Workshop meetup. He is a previous organizer at Seattle WordPress meetup and Seattle WordCamp 2012. John is a web developer and owner of Flox. He's also a project lead for BuddyPress and bbPress. He is a WordPress contributor, BackPress supporter, public speaker, educator and open source advocate. 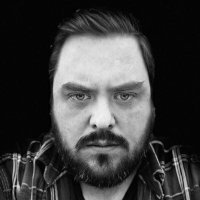 Paul is a blogger, web developer and creator of Paulund, a blog filled with how-to guides on CSS, HTML and WordPress. Nathan is a Lead Developer at Copyblogger Media, a group committed to producing marketable online content. Jen is the Master of Suggestion at Automattic. 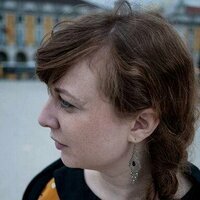 She was the design/user experience lead for the WordPress open source project for 4.5 years and project managed the development team for most of that time as well. Joost is the CEO of Yoast, a website optimization site. He is a WordPress/web developer, SEO and open source fanatic. David is a developer at WordPress and BuddyPress. He is an organizer at WordCamp Miami, conferences and meetups. Carl is a partner at Rocketgenius, the group known for creating Gravity Forms. He got started with WordPress in 2008, and primarily used it to build client web sites while he was doing custom web design and development for clients. Dre is Vice President of Operations at WebDevStudios. Next to his role at WebDev, Armeda is the co-founder at Sucuri. He is known for his role as a host of The Dradcast, a weekly WordPress podcast. Peter is a core contributor to WordPress and Happiness Gardener at Automattic. 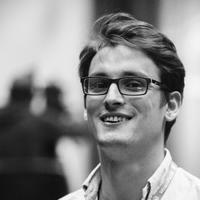 Samuel is a web developer at Audrey Capital, an investment and research company created by Automattic's Matt Mullenweg to help innovative ideas grow. Konstantin is a WordPress developer at Automattic. When he's not writing themes or plugins, he's contributing to the WordPress Core. His past experience involved software development mainly with C and C#. Alex, commonly known as Viper007Bond (or just Viper) is a Portland-based developer who works for Automattic. He has contributed to several popular WordPress plugins such as Regenerate Thumbnails and JetPack. Jeff is the founder and a contributing writer of WPTavern. He has been writing about WordPress since 2007. He is the host of the WordPress Weekly Podcast. 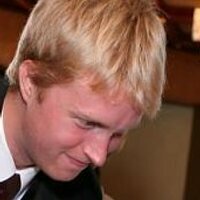 Oliver is the founder of ThemeFurnace.com and http://DesignersTalk.com, WPLift.com and Kooc Media, a web company which specializes in building online communities, web applications and WordPress themes/plugins. Dan is the co-founder of WPCurve, a business dedicated to helping business owners maintain their WordPress-powered operations with support, maintenance and request for small jobs. Dan also co-founded Helloify, a messaging function, and wrote a book, "Content Machine." Mark is a the co-founder of WooThemes (acquired by Automattic). Over the last 6 years, WooThemes grew from a team of three passionate theme designers to a distributed team of 40+ staff developing WordPress’s most popular eCommerce plugin. Co-Founder and CEO at Sucuri Inc.
Tony is the co-founder and CEO at Sucuri Inc., a company that builds cloud-based security technologies and service that every website can utilize. He is a former Marine Corps veteran, having done two tours in Iraq between 2002-2005 with a total in-country time of about 2 years. Elliot Condon is a Melbourne-based web developer. He is the creator of the popular Advanced Custom Fields WordPress plugin and many other websites and web apps. John co-founded 9Seeds, a WordPress development shop based in Las Vegas. 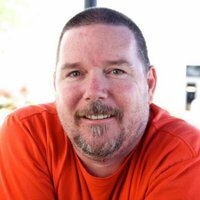 He runs the Las Vegas WordPress meetup group and is the lead organizer for WordCamp Las Vegas. Jake founded 10up with a vision of a distributed, elite team that could build beautiful, easy to manage websites on the web’s best platform, WordPress. 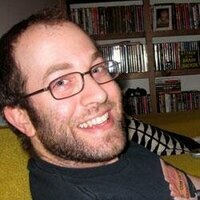 Jake wrote for Smashing Magazine and taught WordPress development at Boston University. 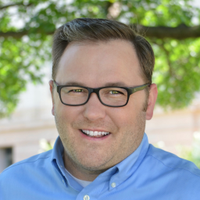 Troy is an online marketing speaker, coach, consultant and podcaster. He is also a professional voiceover artist and voiced campaigns for hundreds of brands including Ford, Telstra, ANZ, Hungry Jacks, Mitsubishi, AFL, Cricket Australia and Cadbury. Siobhan is a writer, editor, event organizer, WordPress contributor, public speaker and free software advocate. Her current project is a book about the history of the WordPress project. 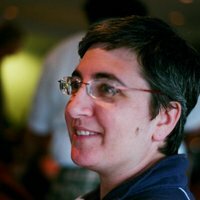 She contributes to the WordPress core software and organizes WordCamps. She writes for Smashing Magazine and appears on WordPress.tv. Mika Ariela Epstein is better known as Ipstenu, the Half-Elf Support Rogue. She works for DreamHost and specializes in WordPress hosting. She tends to hang out on WordPress.org forum threads by night and wrangle plugins by day. 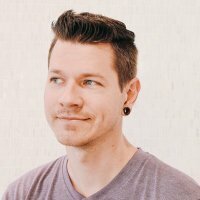 Ryan is the founder of WP Site Care. He is also a WordPress freelancer and theme builder. 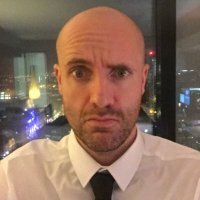 He started working with WordPress as a freelancer in 2009, and now has a small team of six where his team provides WordPress support and build WordPress themes. Nikolay is a Meta Engineer at Automattic. He was formerly the first Security Czar for WordPress.org, where he coordinated security efforts, responded to incidents and produced solid fixes to the incidents. Daniel is a co-founder and CTO of Sucuri. 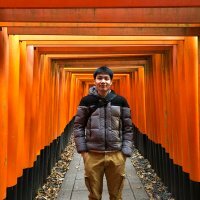 Lester currently works for Tech in Asia as The Tech Guy in-charge of the development and scaling of Tech in Asia and its subsidiary sites. He is the creator of WP-Polls, WP-PostRatings and WP-DBManagera WordPress. He is also a plugin developer who contributed 23 WordPress plugins with more than 14 million total downloads. Mike is the co-founding developer of WordPress, which he started in 2003 with Automattic's Matt Mullenweg. Currently, he offers a variety of services ranging from consultancy to training to web developing. He is the co-author of "Building Online Communities With Drupal, PhpBB, and WordPress" and runs his own business, zed1.com. Matt is the host of the Matt Report, a WordPress podcast for digital businesses. He started the Matt Report podcast in October of 2012 and it quickly grew to one of the most popular WordPress podcasts available. Konstantin is a Code Wrangler at Automattic. He is also a WordPress Contributor and 4.3 Lead. Adam is the co-founder of FooPlugins. He is also a web business consultant and Internet marketing coach who specializes in WordPress and WordPress Multisite. In the past, he's worked with The Ritz-Carlton, Busch Entertainment Corp., and Amazon.com. 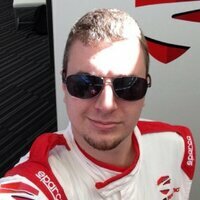 Jason is an IT manager, web developer and host of WPWatercooler, a weekly webshow on YouTube and podcast on iTunes. Mike is a developer at WooThemes/Automattic working primarily as the lead developer of WooCommerce. His biggest achievements include building WooCommerce and WP Job Manager, which are now Automattic projects. Pete is the Co-Founder at Range, a design and development agency specializing in high quality design and WordPress development. He is also a contributor at WordPress. 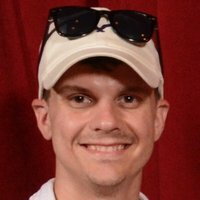 Joe is a Front-End Developer at Crowd Favorite and author of the book, "Responsive Design With WordPress." Boone is a core committer to WordPress and a lead developer of BuddyPress. He is a consultant specializing in custom plugin development, code review and WordPress/BuddyPress architecture. 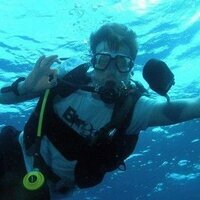 Devin is a WordPress developer at WP Theming LLC, creator of Options Framework and runs a theme shop called DevPress. 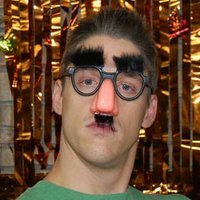 He makes themes, plugins and writes about WordPress at wptheming.com. Rhys is a Lead Developer at FireCask, an award-winning digital marketing and WordPress development agency. He is also the director at Winwar Media and the developer of WP Email Capture. Jean is the founder of WPMayor, a blog focused on helping people learn more about WordPress, and WP RSS Aggregator, a WordPress plugin for importing RSS content. Becs is an email marketing consultant at Rivett-Kemm Consulting Ltd. She's worked for several large eCommerce retailers and has freelanced for a number of agencies. She eats, sleeps, and dreams about every aspect of email marketing. Brian, a former Marine Corps software developer, is the Co-Founder of WebDevStudios.com and AppPresser.com. He is the co-author of "Building Web Apps with WordPress" and organizer of the New Jersey WordPress meetup group. 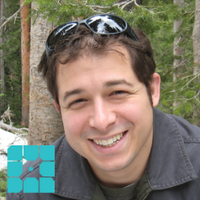 George is a Code Monkey and team lead for Jetpack at Automattic. 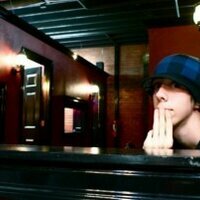 Devin is the founder of Thought House and WordImpress, a group that produces themes and plugins. John is the Senior WordPress Engineer at Human Made. He previously worked at Code for the People (now acquired by Automattic) and WordPress VIP. He is a WordPress core committer and was the release lead for WordPress 4.1. Remi is a WooThemes support technician at WooThemes/Automattic. He develops plugins and themes for WordPress that he sells on CodeCanyon. He also created add-ons for Easy Digital Downloads, WP Job Manager and WooCommerce. Shawn is the creator of WordPress 101, where he answers questions about WordPress and develops new resources to help users accomplish their goals. Over the last 25 years, he worked as a freelance designer. 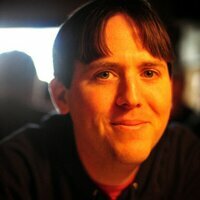 Scott is a Senior Software Engineer at The New York Times on the Interactive News Team. 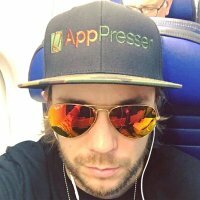 He is a core developer of WordPress and will be the release lead for WordPress 4.4. Joey is a Code Wrangler at Automattic who works on partnerships, third party integrations, APIs and other projects for WordPress. 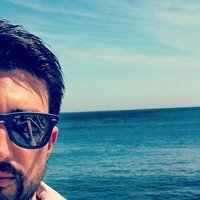 Pavel is the founder of theme platform WPZoom. He mostly covers administrative tasks at WPZoom, but he also designs and codes themes. Tom co-founded Human Made with Human Made's CTO, Joe Hoyle. At the company, Tom manages overall company direction, project management and client relationships. When he's not coding for clients he likes to contribute back to the Open Source community. 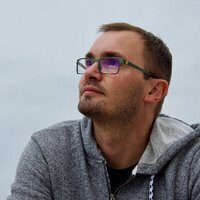 C. Bavota (whose real name is not just "C") is a premium WordPress theme developer who built a WordPress theme for WooCommerce. He started freelancing full time as a programmer back in 2007. He wanted to share everything he learned, all in hopes that others might benefit from all of his trial and error, and started bavotasan.com. Dustin is a Happiness Engineer at Automattic and the founder of YourWebsiteEngineer.com, a site dedicated to WordPress education. 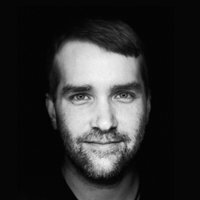 Tom is a VIP Wrangler at Automattic and a community moderator on WordPress Stack Exchange.He also speaks at events, writes blog posts and pushes code to GitHub. Devesh is a WordPress developer and part-time blogger. He's the founder of WordPress Kube, a WordPress Resource blog which focuses on daily news, themes, tutorials, plugins, tips and modifications. 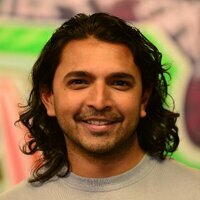 He is a former software development engineer II at Amazon. Charlie first entered the WordPress scene as the founder of Gabfire Themes. His current venture, 99 Robots is a startup focused on developing WordPress plugins for marketers and bloggers. Ben is the lead developer at WebDevStudios and an organizer at Seattle WordCamp. With more than 15 years of experience working with open source communities, Lobaugh is an active contributor to the WordPress Community. Shayda is a Product Marketer at WP Engine and has been to more than 30 WordCamps. She loves the WordPress community for its generosity and helpfulness. She is an avid traveler and food blogger at her website, Dine With Shayda. 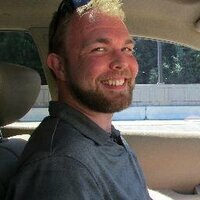 Leland is a domainer, web developer, WordPress coder, writer, and speaker. He runs the online community WP Chat, sells WordPress plugins at Pluginferno, makes WordPress themes at Metrocraft and co-organizes the WordPress DC meetup. Takyushi is the creator of WordPress plugin Contact Form 7 and the founder of WordPress agency Rock Lobster. Ben is the co-founder of sidekick.pro, FlowPress, and WPUniversity.com. Travis is a partner at digital design agency Westwerk. He refocused his skills to lead WerkPress, the agency’s WordPress division. 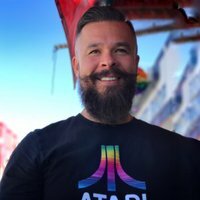 Austin is the CEO of Alley Interactive, a group that provides consulting and web development expertise to the media, education and entertainment industries. Prior to working at Alley, he worked at About.com and was the lead developer for The Economist's website. Steph is the lead developer of Strategy11, a company specializing in WordPress plugins. Formidable Forms and Display Widgets are a few of Strategy11's most popular projects. Frederick is the co-founder and CTO of real estate website platform Placester and the former advisor and founding CTO at digital news site Mashable. He created W3 Total Cache for WordPress. AJ is the founder and lead developer of website marketing group Zan Atlantean, admin of the Advanced WordPress group on Facebook and WordCamp presenter. Marie is an editor and writer at Torque Magazine, a WordPress-centric publication. Stephen is a programmer, graphic designer and founder at ServerPress. He has a background in front end graphics, 3D, and traditional back-end software engineering. 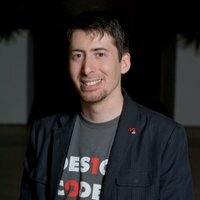 ‎Yaron is the co-founder and Chief Software Architect at Crypteron, a cloud security company, and the director of technology at Trestian, a web development, digital design and marketing group. He is a graduate of Yale University with a degree in computer science. Dave is the CEO and founder at CMS Code, a group that specializes in building fundraising websites and content management solutions for non-profit organizations. 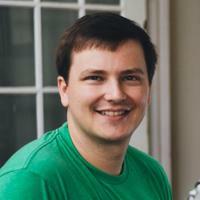 Konstantin is the founder of the largest WordPress aggregation website, WP Clipboard. Yelin's latest project is "They Made a Promise," a website that monitors politicians in the UK to keep them accountable. Tom is the founder at leaveworkbehind.com, wordcandy.co and beginnerblogging.net. The three blogs respectively address making money online, blogging solutions for WordPress businesses and learning to blog without coding. 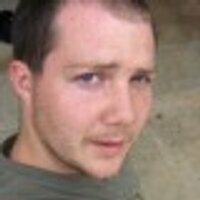 James is the founder of IncSub, Edublogs and WPMU DEV, a group that provides WordPress themes, plugins and support. Thomas is the moderator of WordPress Stack Exchange and manager of the largest WordPress group on Google+. He also develops plugins for Market Press. 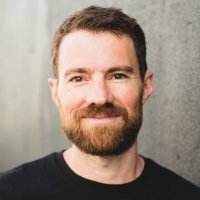 Daniel is the Director of Engineering at Fusion and a former Code Wrangler at Automattic. He maintains WP-CLI, a set of command-line tools for managing WordPress installations. Comment below with their Twitter handle and we'll look into it! Check back later to see how the list has changed! 99 Robots is a results-driven web development and digital marketing agency ready to help you launch, run or grow your business. 42 Responses to "Top 99 WordPress Influencers of 2015"
You missed her by miles on this list. Yes, you missed my two champ WordPress community managers. No list is perfect. There will always be people that get missed. Thanks for the mention. +1 for everyone else you suggested. Great list! Found some new faces that I need to meet. I would also add Adam Silver (@heyadamsilver). He runs the South Bay WordPress Meetup in LA and has a fantastic podcast, kitchensinkwp.com. Along with those creds, he started the ConciergeWP.com WordPress backup & security service and is a co-organizer of WordCampLA 2015. He is a must add for the next list. I’m glad you found some new folks! Adam seems like a great choice, we’ll look into adding him our next list. Thanks for your input! Thank you for featuring me (Shayda Torabi) but you have my last name spelled wrong! Can someone please update that? Sorry about that, seems it slipped through the cracks. Thanks for letting us know! Thanks for sharing! We’ll definitely look into adding them to the next list. Thanks for letting us know Steven! I not-so-humbly nominate myself for the list, if you go by Twitter followers: @andersnoren. In loving memory to Kim Parsell http://wpmom.org/ who contributed much to WordPress. She is definitely worth a mention. Interesting list, but it seems more like a Twitter popularity contest than a list of influencers that are well, influencers. Why rank people by the number of Twitter followers if the # of Twitter followers are meaningless? I am sure there is a far better way to rank contribution, reach, resources, influence, value to the community, activity, etc. We’re open to suggestions on how to rank similar lists moving forward! We curated this list based on all the criteria you mentioned but we couldn’t come up with an objective scoring system that made sense to quantify everything. You know what more important then stupid lists about who the “important” people are. Seriously join the real conversation here. Gonna add another nomination for @norcross. Great list! I’d love to see Mike Schinkel and Rarst on the list. Great to see a lot of good friends on this list, many many worthy influencers. Quite a few missing though… awesome to see the influencer list so broad and wide and still missing folks. Exactly! There are just so many considerably influential people it’s practically impossible to fit them all in a list. So few women on this list…why is that? I’m not sure why. Do you have any suggestions of other people to add? We’d be happy to look into including them in our next list! Good to see lots of old friends and new faces on this list. I’d say you missed @jb510. He’s done a ton of work with WordPress meetups and the first WordCamp Maui. Thanks for the suggestion! We’ll look into adding him in our next list. THanks Akshat for the additions. Looks like we need another list to add these wonderful folks.